Today I come to you to share a few thoughts on lessons I have learned in my life, from experiences that have touched me deeply and helped me to thrive. Over the next five months I will share with you my journey with multiple sclerosis. The disease completely changed my life; and unexpectedly, mostly for the better. I never thought I would say those words when first diagnosed but here we are. The scariest day of my life occurred in 1998. In the fall of that year, my life started to change drastically. It began with numbness in my right leg. It would come and go, so I didn’t really pay attention to it. But it didn’t go away, and then I became enormously fatigued; this indescribable fatigue that began to consume my every day, making it hard for me to do the simplest things, like even opening the mail or running a bath. The verdict was delivered: I had relapsing remitting multiple sclerosis, and the disease was slowly eating away at what’s called the myelin sheath, a sort of blanket that covers the nerve cells in the brain. My heart sank. That day I thought my diagnosis would change my life forever – for the worse. 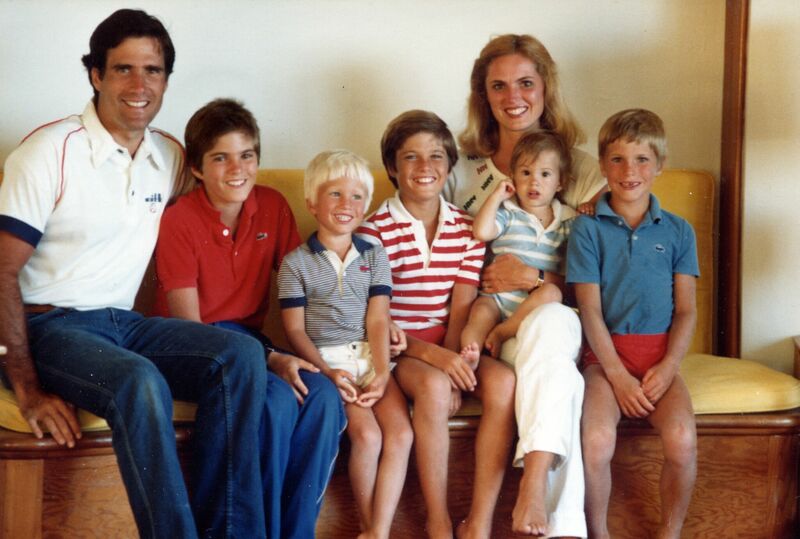 At that time, our five boys had mostly grown; I had loved almost every minute of being a mom, and Mitt and I were looking forward to some time alone. I was active, athletic, and healthy. Life seemed just as it should be and this calm transition to what I thought would be the next stage of our lives was the perfect plan. Everything was great. But on that day in 1998, I asked the doctor what the treatment was for MS, to which he replied that there was none, for now, and to come back when it got worse. Got worse? I was in total disbelief. I was a shadow of the person I had been a few months before; that was hard enough to bear. But to hear that it was going to get worse was devastating. What came next was a very dark time in my life – and not just because Mitt started to do the cooking. Which, to his credit, he always did with a smile. In fact, I would recognize later that soon after my diagnosis I fell into a deep depression. I prayed for courage, to ask for strength against this disease. But no strength seemed to come. I kept getting weaker and weaker. I wondered why I had to live like this and thought at times – I hate to admit now – I wished I had cancer, so that I could die, rather than live like this. What I wouldn’t come to see until after, was that this deep despair – which was beyond anything I had felt before – marked the beginning of a physical and spiritual journey that did, in fact, change my life forever – but for the better. In the darkness, I found strength and wisdom. I learned to fight fear and I also learned compassion. We all – you and I – face these dark times in our life. When our best-laid plans seem to implode and it seems as if life will never be good again. The circumstances are as varied as are our backgrounds and personalities and lives. But remember this, darkness is always overcome by light. Always. When the sun rises. When a light switch is turned on or when a candle is lit. Darkness is never permanent if we’re willing to keep going. For me, and like most things in my life, it started slowly and it took patience – which, I also learned, is another word for faith.